BP Network Solutions .Wi Fi design and installation. Here at BPNS, our network engineers provide onsite wireless network site surveys and heat mapping services. 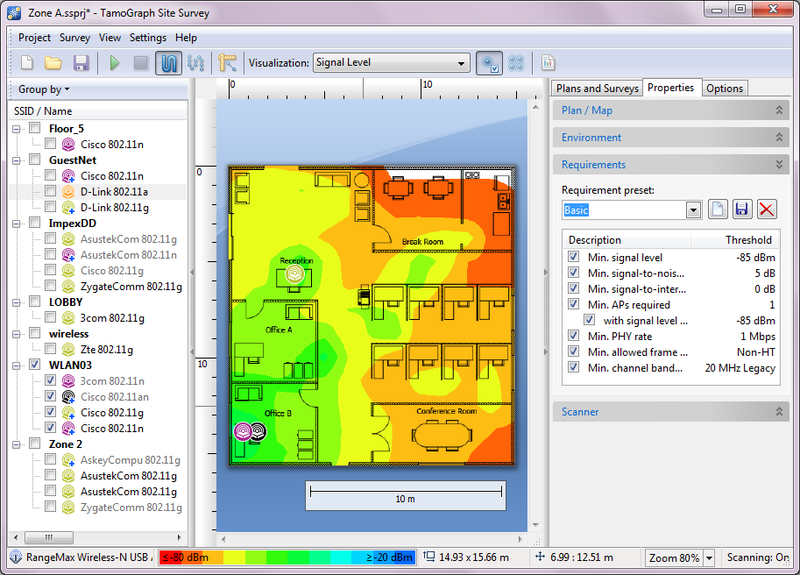 Our wireless site survey and heatmapping services ensure that your wireless project is well planned and does not cause over-spending on unneeded hardware. We bring you more value out of your investment. We first get a list of the existing systems your company has. Then we will map out coverage and capacity goals, in that way we can determine what your network needs are. We will introduce a solution that is backed up by pre-deployment surveys and projected heat maps for the wireless coverage. We then roll out the implementation as planned. We provide post deployment and validation survey. Wireless support, maintenance and management is also an option we offer.